This week, Tencent loses billions after China cracks down on online games, 21st Century Fox invests $100 million in streaming startup Caffeine, and 2K comments on the “unfortunate reality” of microtransactions. 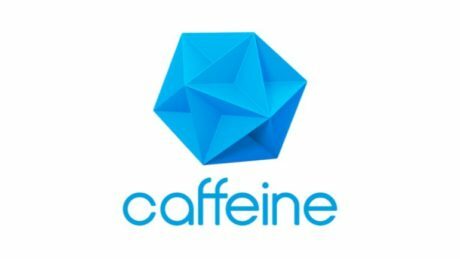 Caffeine, a zero-latency streaming platform, just received $100 million in funding from 21st Century Fox. This round of funding followed an earlier one featuring backers like Andreessen Horowitz and Greylock Partners, not to mention a content agreement with Live Nation to bring live music to Caffeine later this year. Fox and Caffeine will also be partnering to create Caffeine Studios which “will leverage Fox Sports’ expertise in live events and programming to create exclusive esports, video game, sports, and live entertainment content for Caffeine’s next-generation social broadcasting platform.” Coverage from publications like Fortune and Axios now places Caffeine on more even ground with tech giants attempting to square off with Twitch and Amazon, be it Microsoft’s Mixer, YouTube Gaming, or Facebook doubling down on eSports. In an interview with gaming outlet TrustedReviews, NBA 2K19 senior producer Rob Jones spoke on some of the changes coming to what many believe to be the premiere sports video game franchise today. Despite being consistently lauded by critics, much of the series’ fan base has soured on the games’ progression system for being too grind-y in an attempt to force players to buy VC, the game’s currency for cosmetics and leveling up your character. The quote from Jones that is grabbing headlines in outlets like PCGamesN and Comicbook.com reads, “VC is an unfortunate reality of modern gaming…the question has to be when does it feel like it’s a straight money grab versus when does it feel like it’s value added, right?” He states that VC’s necessity will be less emphasized in the series’ next installment, and speaks on finding the balance between satisfying progression and accounting for players that would rather pay to bypass it altogether. A Reddit thread on the interview gained traction in the r/Games community, with readers expressing serious doubt around the claim that “most people don’t have the patience to work their way to the top,” with top commenters stating that the game clearly artificially stretches out progression to encourage the purchase of VC, significantly damaging the average gamer’s experience in the process.